Desc: Landstrom's Black Hills Gold Sterling Silver dragonfly ankle bracelet. 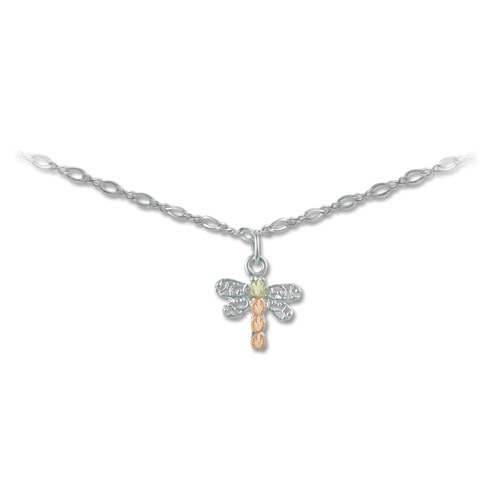 The dragonfly is a charm on the chain of the ankle bracelet. The chain is a Figero design. The dragnfly is sterling silver with rose and green gold on the body. Made in the United States of America.